Our business concept for thoroughbred partnerships originated from our love of horses and the excitement of racing combined with the Irish Pub tradition of getting people together and having a great time. Even with our recent re-branding to Dream Maker Racing, our legacy remains as important as ever. Dream Maker Racing strives to provide stellar customer service and a complete racehorse ownership experience that lets you enjoy all that racing has to offer. For the cost of a vacation, you can be part of a unique, full-service racing organization with few responsibilities, many benefits, and lots of fun. Now is a great time to experience the thrill of owning a racehorse. After careful genetic and confirmation analysis and a complete veterinary exam, we purchase the best New York-Bred specimens we can find. New York-Breds run with the advantage of bigger purses and restricted races along with a Multi-Million Dollar restricted Stakes Program. Typically all of our current prospects qualify for this program. New York Racing in partnership with The Resorts World Casino boasts the richest purse structure in the country, bolstering a very lucrative racing program. Add that to a very well funded breeding program and YOU as an owner of a New York-Bred race horse have fantastic earning potential. That's the DMR formula for success! We offer limited shares in our horse racing partnerships to interested parties, concentrating on fillies for their residual value, but also buying precocious colts we feel have the potential for greatness. Each owner enjoys full ownership privileges which includes a complete set of NYRA credentials providing all access to your race horse magic kingdom. Dream Maker Racing not only distributes purses and owners' awards, but also fun and spine-tingling excitement for the whole family. Dream Maker Racing dissolves the LLC when the horse has been retired from racing. Horses are disbursed through claiming races or public auction. We also pride ourselves in finding second lives for our beloved race horses in horse retirement and re-training facilities run by Thoroughbred Aftercare Alliance accredited organizations. Communicating on a bi-weekly basis via e-mail with news and updates about your and the other DMR horses. This helps new thoroughbred partnership owners better understand our training decisions. Issuing a weekly newsletter that highlights the DMR thoroughbred partnerships horse updates, offers new information about upcoming events and new LLCs. Facilitating continuous access to the DMR horses and the managing member, Tom Gallo. Dream Maker Racing keeps you well informed of the operations, maintenance and costs of your thoroughbred holdings. Dream Maker Racing does not mark up expenses. Members pay the actual costs of racehorse ownership. Organizing meetings and events for DMR members, their families, and the general public is a unique perk which sets our organization apart. The agenda typically includes a discussion with racing industry leaders, or handicapping experts and offers the chance for owners to ask questions, learn more about thoroughbreds, racing, handicapping, partnerships and socialize with fellow racing fans. People have made long lasting friends and met fellow racing companions solidifying their love for this legendary sport! Our goal is to win races, educate owners about partnerships in thoroughbred horse racing, and increase the value of the Dream Maker Racing horses. We strive to maximize your racehorse ownership experience so you will stay with Dream Maker Racing as repeat clients. 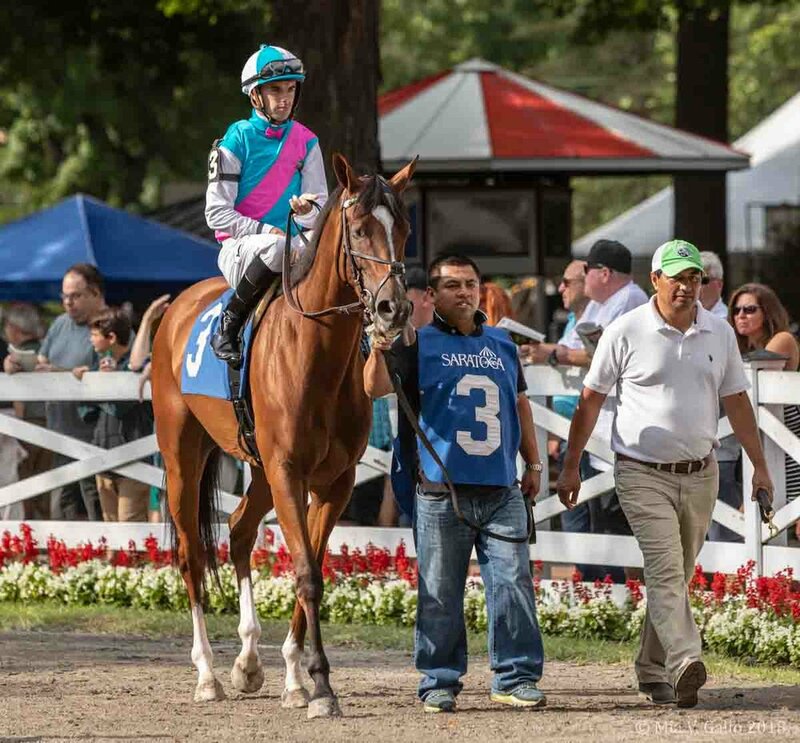 Browse our site to learn more about racehorse investment, thoroughbred partnerships, racehorse retirement, and why Dream Maker Racing partnerships are your best choice to become a horse racing partner - always fun and exciting!